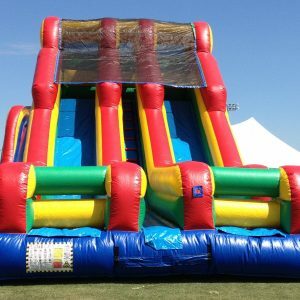 Be the hero to your children when you book an inflatable fire truck slide for your next event. 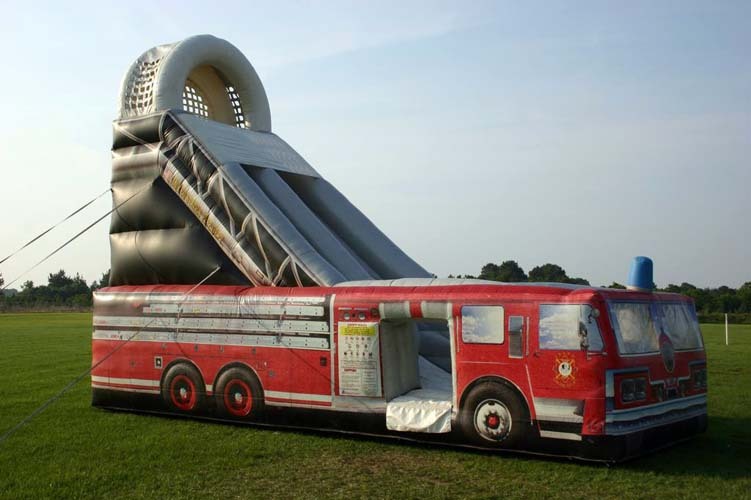 Every kid loves a fire truck, but a big inflatable one that you can slide down is the ultimate adventure for your tots! 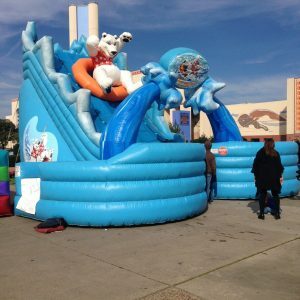 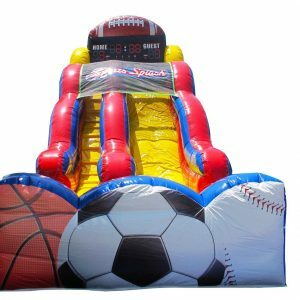 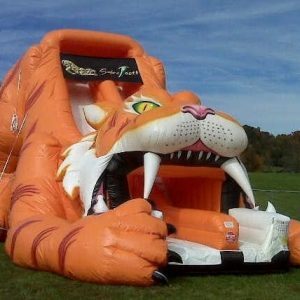 22ft Firetruck inflatable slide with one climbing lane and one slide lane.